While wiping counters after washing dishes tonight, I found a pack of playing cards nestled between a bag of bagels and brown bag of bran cereal. They were Bicycle brand, the ones with ornate read pattern on the back that’s been around since 1855. I set the cleaning aside and opened the pack, then sniffed the waxy perfume, a smell that’s been around since at least the mid-70s, when I learned to play poker. My dad with something of a gambler. Not with his finances, not with his family, nor with his dead-end job. But he with games of chance he thought could lead him to a better life, if he just could manage a long enough winning streak. He fought in the Korean War and worked as a mechanic. There are photographs of him sitting inside the wheel of one a massive truck, a small man in the hole of a mammoth doughnut of synthetic rubber. It was in Korea (Core-rear in his South Georgia glide) that he learned how to gamble. Like many soldiers at the time, he sent much of his pay back home to support his mother. He used the rest of the pay to gamble with and to buy a more than occasional pack of smokes. He got very good at cards during the war. He said it was because they played with Army script, and the paper didn’t feel like real money. Later, when he was stationed in Alaska, he and his buddies spent the winters in their tents, huddled under parkas and playing Deuces Wild to pass the time on those endless dark nights. He brought the love of the game back home and taught my mom how to play. When I was eight, they used to go over to my aunt’s house and play cards well into the night, huddled around a black formica table wedged into a cramped kitchen decorated with plaster of Paris chickens and filled with cigarette smoke and laughter. We kids used to watch our folks play, catching peeks at their hands and watching the cards fly impossibly fast around the table. Soon, we would get bored and drift off. Maybe go outside to play horseshoes before darkness and the skeeters sent us back inside. We would plop down in front of the television set and watch whatever western or made-for-TV was on. Sometimes, we would fall asleep on the couch, the sound of the poker game chattering in the background. My father’s voice never made it out of the kitchen. He had a rich, resonant baritone, but he spoke very little. It wasn’t much fun watching him play cards, either. He kept his cards close to his chest. He held them in his left hand, a habit it he’d picked up in Korea, and squeezed the edges while sneaking a peek, as if he were a cheapskate trying to make a penny scream. And then while looking at the cards with one eye, he would flick the corner of the card and make his bet. They called it penny ante poker, but there were nickels, dimes, quarters and even dollars in the pot. The game, though, was all for fun, shared among folks who didn’t have a lot of money. It was understood that if you were winning too much, you would find a way to give some money back to the pot. I was in fourth grade when we finally convinced our parents to teach us poker. We’d always played cards–rummy, gin, crazy eights, pinochle, and if cousin Earl was around 52-card pickup– – but none of them had the draw of poker or the chance to share some of that pot full of coins. So one night after a visit to my aunt’s in North Carolina, the five of us gathered around the dining room table, and my parents laid out the rules of the game. They started out with the basics. Stud poker. One car down, four cards up. Nothing wild. Nothing much to guess about with Five Card Stud. Just straight up cold nerves and trying to figure out what everybody else had. 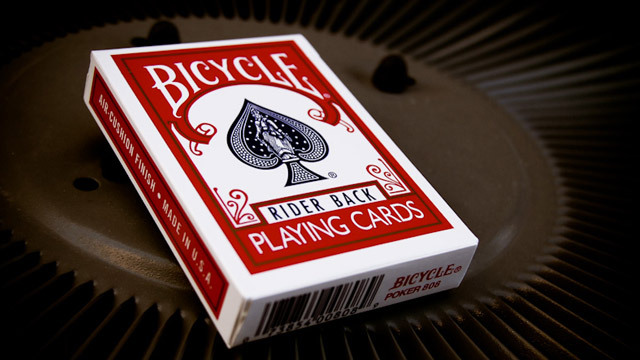 It quickly became my favorite game, because I had a penchant for counting cards. It was far easier to play the odds with one hole card then two or three, as with my father’s favorite game, Seven Card Stud. In Seven Card, the first two cards were down (called the hole), and four were laid up on the table so that the other players knew what everyone else had. After four rounds of betting, the final hole card was dealt, and that’s where the fun began. My mom was always chatty, but my father held silent during play at all times—until he dealt. When it was his turn to deal, he kept up a pattern of patter, commenting on what everyone had and making possible suggestions for what each player might be holding. It was through his patter that I learned how to play the table and how to predict what the next cards would be. Intuitively, I guessed the odds, and I could tell how quickly those odds changed depending on which cards were facing up. I was good at spotting patterns, and poker is all about patterns—in the cards and in the people playing them. Each person in the family had their own style of playing. My sister was very conservative. She never raised more than a dime. My brother wasn’t as conservative, although he had a very obvious tell: If he got what he was looking for, his eyebrows with arch over the top of his classes. My mother was a complete outlier. Her betting strategy, if it was a strategy and not an extension of her personality, was to be as random as possible. She might hold the winning hand and never raise a single time. The next hand, she might bet aggressively from the very beginning, raising and raising again, trying to buy herself a pot. I had nothing like a poker face. Not at first. I would bet like a madman when I had something good. Or when I had something bad. It didn’t matter. I just like playing the game. I held my cards too far away from my chest, and my sister enjoy taking long, luxurious peeks over my shoulder. She would even mock me for it–because that’s my little brothers are for. In time, I would adopt my fathers habit of holding the cards in the single stack, looking only one before the betting reached the final round. I would squeeze the cards like they were screaming pennies and maybe even add a flick a corner for luck. I was never silent though, either when it was my turn to deal or when I was just playing. I never spoke in school, so maybe I was saving up for the poker games. My mother would warn me about running off at the mouth, but the warning never seemed to do any good. If the cards were flying, I was talking and cracking jokes. Some of them were even funny. Unlike my father, I never adopted a conservative betting strategy. Even though stud poker has no provision for going all-in, it was not uncommon to see me push my entire stack of coins into the pot and wait for someone to match my bet. I lost often, but when I won, I won big. After a year of weekend games, all of us could play some poker. When relatives would come to town, we would nonchalantly suggest a game or two of poker. For fun, of course. Thus would begin a marathon session, usually going from early afternoon to the wee hours of the morning. We all developed a distinctive patter by then, especially me and my brother. We were constantly chattering insulting each other, teasing our sister, and messing with our mom. We had enough sense not to bother our dad too much, the same way you don’t tease a rattlesnake. Most of the relatives were taken aback by the raucous show. One uncle in particular had the misfortune of winning a hand without showing having to show his cards. I looked at him very seriously and said, can I see your hole? Before the poor flabbergasted man could answer, I ripped off a laugh that would make a jackass proud, and the rest the table joined in. It was one of those awkward, hilarious moments that made the games so much fun. We were a family of introverts, sometimes going to all day without speaking (except for my mother who never went any time without speaking). But when we played cards, there was something in the air, a crackle, a feeling of possibility, that the game was afoot, and we were the ones who played it best. Like all things, the fun came to an end. Not suddenly, but with a long stretched out passing of days. Kids grew up and married or went off to college. We played here and there, but the magic wasn’t there. No game has ever been as much fun sitting around the big table in the dining room, the TV playing behind us, the cigarette smoke in the air, the smell of Pabst and Schlitz for the grownups and sweet tea for the kids. The click of the cards during the shuffle, the metallic click-clink of pennies and dimes, nickels and quarters coming together for the ante. The lessons I learned at the table will never be forgotten–the first pragmatic application of mathematics in my life, the importance of community and conversation, the ability to distract someone with humor so they couldn’t see the cards on the table, and the keeping of my cards close to the vest so that no one could see them. Most of all, I learned a lesson that’s too often forgotten–when you’re holding the winning hand, go all-in with everything you’ve got and never, ever look back.